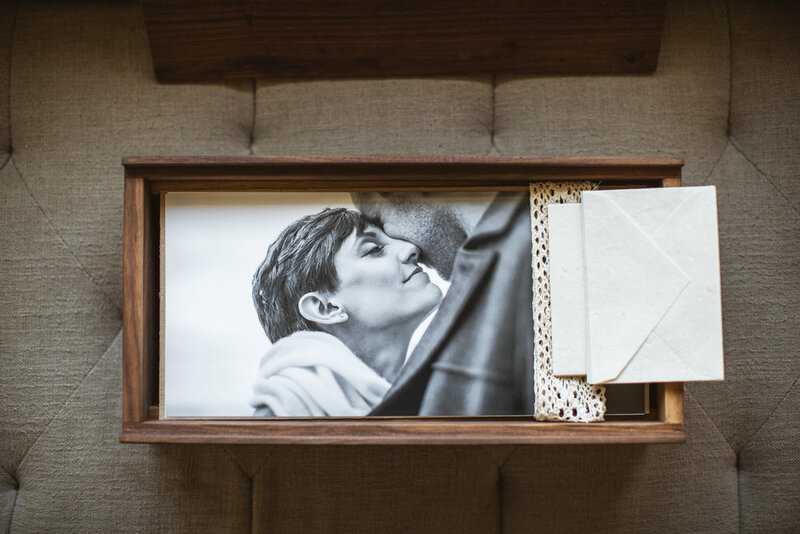 Our Hardwood Unbound Albums are beautifully handcrafted, heirloom quality Amish-made boxes to fill with your collection of prints, nestled in beautiful fabric and protected by a leather satchel. Unbound Albums allow you to enjoy your images free of binding. You are free to hang some on your walls, gift to friends and family, or re-live one page at a time. 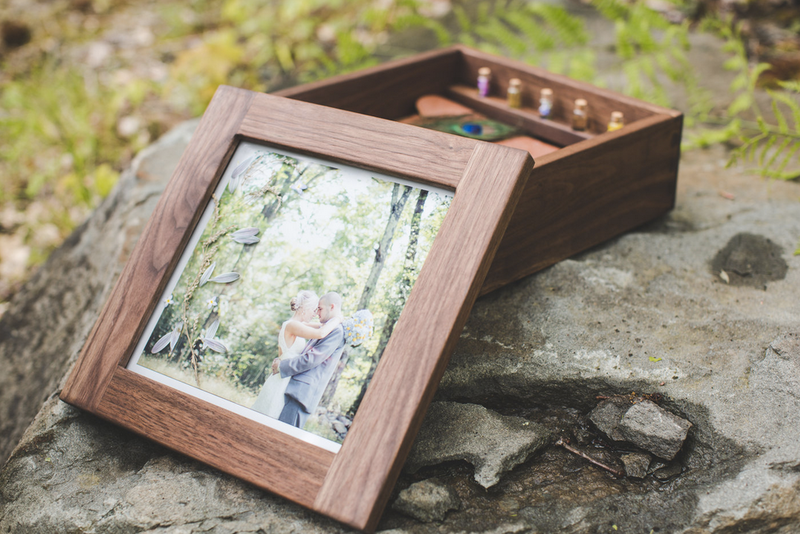 Add to your album over time and create a cherished box of keepsakes, for you and for future generations. The Heirloom is a place for your family to gather around for generations and see, smell and remember those moments that are most precious to you. 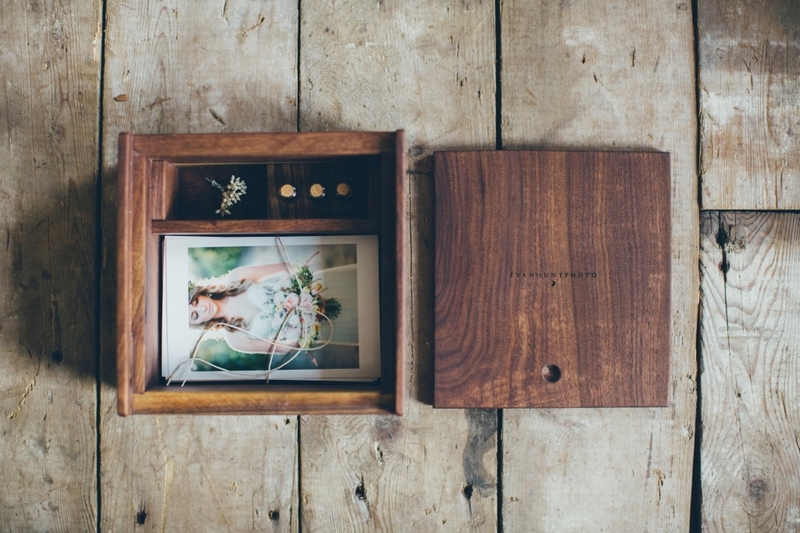 The Heirloom is an Unbound Album that allows you to present and preserve your beautiful Unbound photographs. They are wrapped in cloth and slid into a hand made leather satchel and then placed in an Amish made hardwood case. 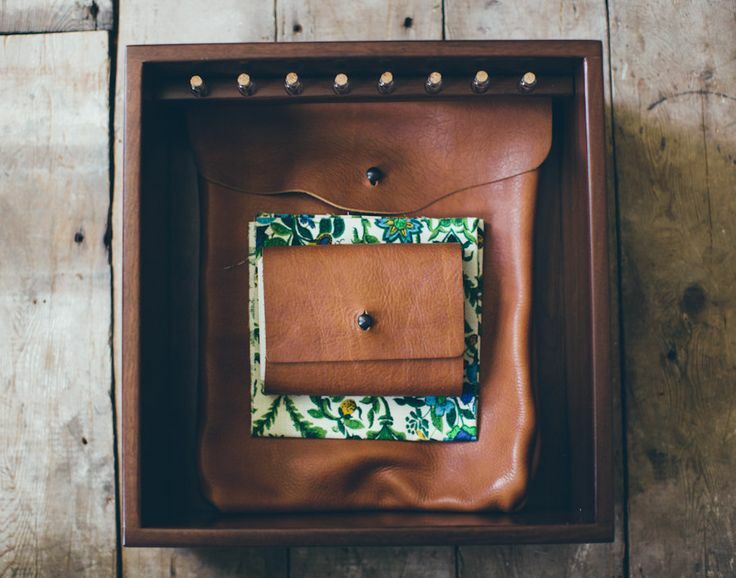 Below the Album lies a hidden compartment to keep and hold your treasured reminders. 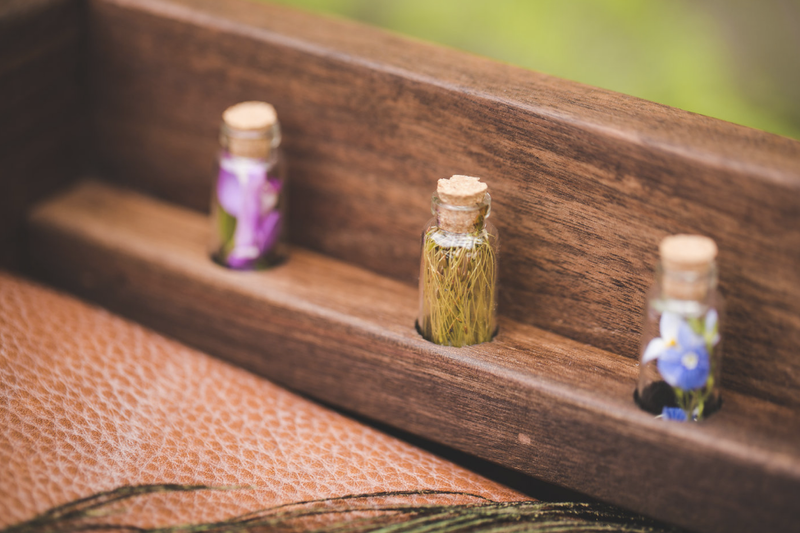 As well as vials to hold reminders of your days. The Christianne is an Unbound Album that allows you to present and preserve your beautiful Unbound photographs. They are wrapped in cloth and slid into a hand made leather satchel and then placed in an Amish made hardwood case. It includes lace, handmade paper and vials. 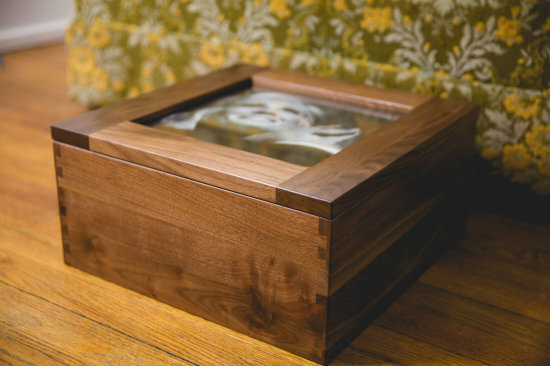 The lid is a functional frame with two panes of glass and complimentary frames can be ordered. The Montana is the most versatile of our Chapter Albums. Expertly dovetailed, assembled and with a hand rubbed finish, the Montana is not just packaging, it’s part of the story. The adjustable compartments inside can accommodate several different print sizes in different combinations. Every Unbound Album and Chapter Album is made with only hardwood and is expertly assembled by hand. Better with age. Like your story. Concise and exactly what it needs to be. The Evan is for the preservation of a chapter in your story. Your senior year, documenting your engagement, a season in your child’s life or that trip that you always want to stay close. A place for 4×6 fine art prints, a small open space and three vials. Made from rustic walnut with all of it’s beautiful imperfections. We hand rub an oil finish that is made to wear, and return as close as possible to it’s natural state. A deep, rich flat finish that is designed to age from being handled and cherished. Also available in Cedar, White Northern Ash and Dark Walnut.